Watches are available in two versions: Classic and Frontier. The first one is more aggressive in appearance and is designed for athletes and people leading an active way of life, the second is more classic and will suit those who are engaged in business. 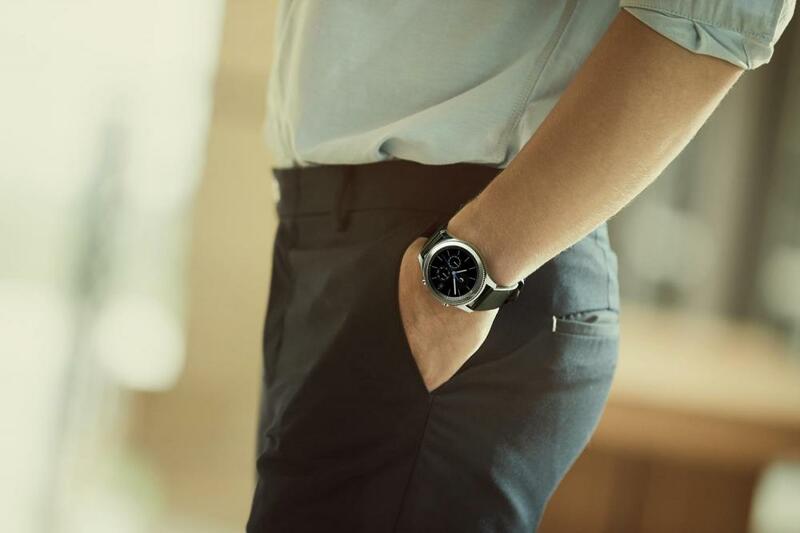 It is on appearance and emphasis Samsung, telling about a new product, calling it not only a smart device, but an accessory. However, there really is something to see. Except when it comes to battery, the company representatives call it succinct (380 mAh), adding that the device can operate without recharging for 4 days. It is possible to use wireless charging. There is also a built-in speaker. 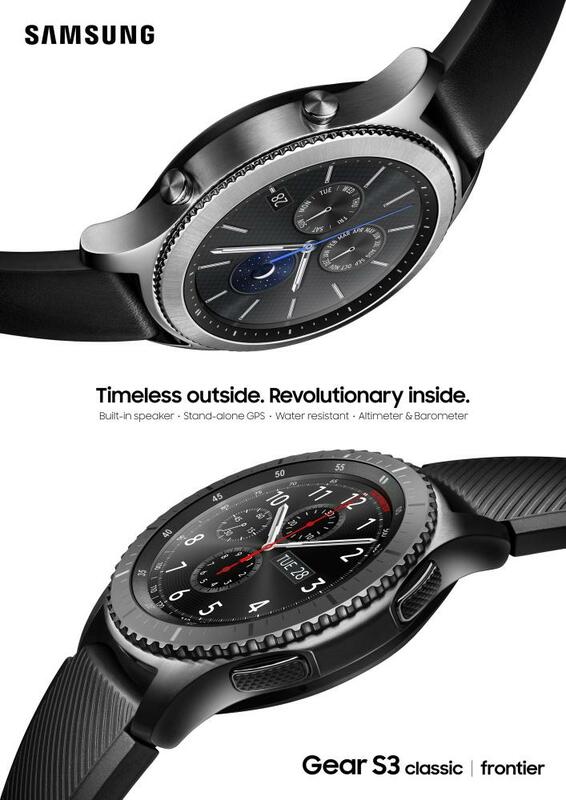 The Pioneers Samsung be and that used for screen protection Corning Gorilla Glass SR+, although, I think that the traditional watch industry sapphire glass will perform better, but will cost more. Here is the screen made of technology AMOLED, 1.3-inch. 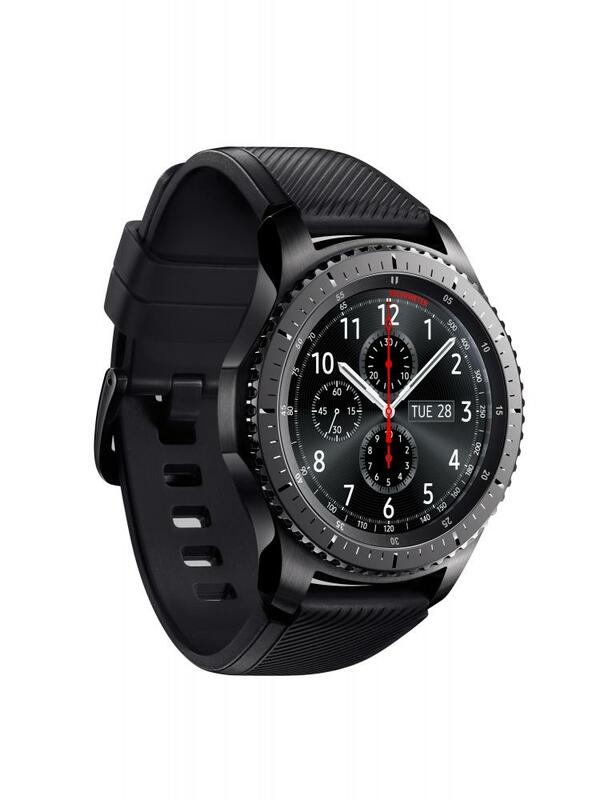 Samsung keeps it constantly active to the gadget, even if not showing at the moment, additional information was answered at least the question "what time is it?". In addition, there us a spinning bezel that also helps in the management of the device: you can accept the call or reject it, cancel alarm etc., Samsung also offers its own software, at least for reminders, called Reminders. So Samsung is aiming at the premium class as indicated in the press release. We can assume that the price is modest, too, will not. 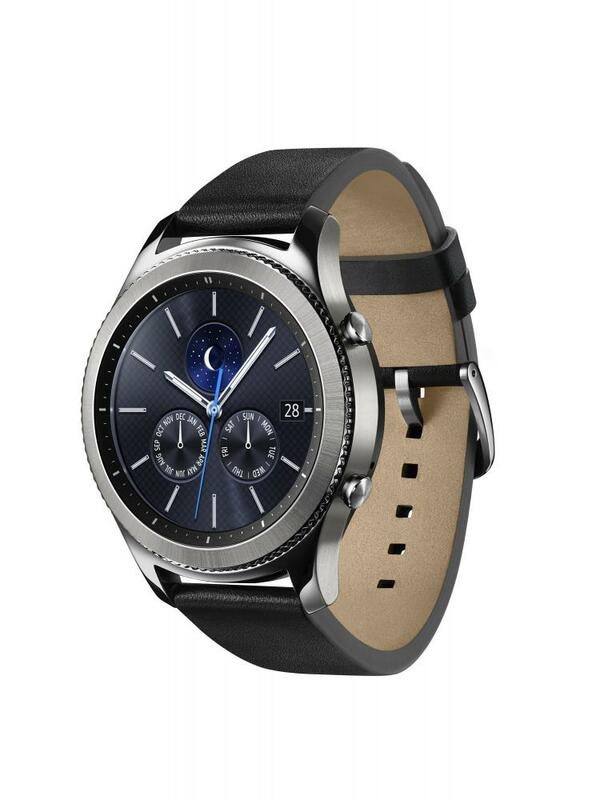 Releasing Gear S3, Samsung also began to work with BMW. The watch will be a sensor life of your car and such a travel planner. For fans here the standard straps of 22 mm, it will be possible to pick up something different, or if complete signature is not enough. Manages the entire dual-core processor with a frequency of 1 GHz. Available to the user 4 gigabytes of internal memory and 768 RAM.